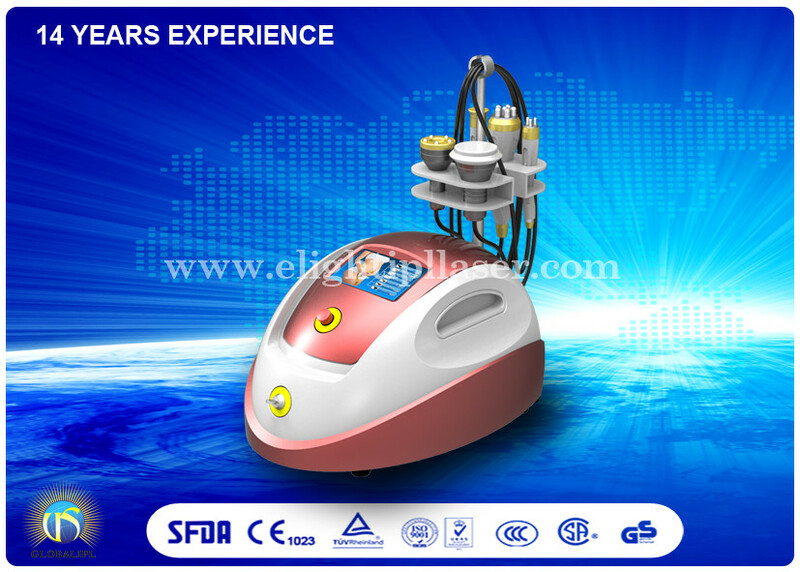 With collective strong sound wave head, strong sound wave of 40000HZ may be emitted to human body for impacting fat cells fiercely and causing friction motion between fat cells. This may cause effective consumption of calories and moisture in fat cells and reduce the size of fat cells. What's more, sound wave vibration may cause fierce impact of fat cells to make them be exploded instantaneously, reduce the amount of fat cells and thereby achieve the effects of removing fat. With the most advanced RF radio frequency technology and energy radio frequency at a suit,can deep direct fat body, has the directional positioning RF output excellence, make fat cells organizations in fast active state, produce the cell body heat of the friction heat, make the local temperature, through the sweat gland, enterohepatic circulation and lymphatic body redundant and adipose and toxin eduction body outside, in order to achieve the effect of dissolved fat. It has adopted vacuum negative pressure technology, human body fat is in free state, use negative pressure to move the fatness, and will have melted fat eduction body outside,achieve a detoxing, defatting effects. Q1: What’s the delivery time? Q4: What’s the payment method?